❎ Not Verified | I flew on Thomson Airways Boeing 757-200 in January 2017 from Lanzarote to Glasgow. The seats were so close together and barely any legroom. 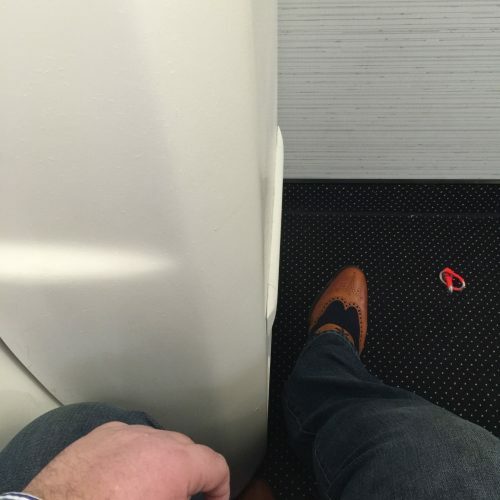 It was not only the legroom that was terrible, the comfort of the seats were absolutely horrendous. This is only the 757-200 though as most other Thomson planes are comfortable eg: 787. 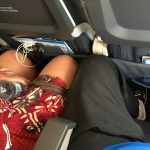 ❎ Unverified | My wife and I travelled to Cape Verde on Thomson's Boeing 757-200 and have never been so cramped and uncomfortable. The journey was just under 6 hours and left us with aches and pains in legs and back. The flight out wasn't too bad as we both had aisle seats where you could stretch one leg but on the return flight we had seats e & f and were squashed in for the majority of the journey. Thomson need to provide more leg room for their customers by spacing the seats more else I am sure they will be losing customers to other airlines that provide a better in flight experience. "pack you in like sardines"
✅ Verified Review | Instead of air travel getting better, they continue to pack you in like sardines! Maximise profit by using the Boeing 787 (best fuel economies etc), but use cheap seats in economy! We had extra leg room but the seat was the cheapest and most uncomfortable I have ever sat in. No matter what you did with the seat, it did not cradle you so that you could drop off to sleep. It did not provide support for your back. In fact after travelling for 10 hours in this seat, we had back pain on our holiday for 2 days. The head/neck support was too low and did not provide an use. The entertainment was basic and had only a few movies. No headphones provided on our flight. Take two pinned headphones with you. The only useful bit was the power socket for the iPhone. No wifi. I find it astonishing on newer planes and they do not have any way of communication. Only 4 toilets in economy. This leads to queues up and down the aisle for the entire duration of the flight. The overhead lockers are used by the air hostesses, leaving you with nothing or having to jam your case in with someone else's! I would not recommend this flight to my worst enemies. Very, very, disappointing excuse for a flight to go on your holidays. ✅ Verified Review | "Extra Space" seats near the emergency exit (which are not suitable for children). Seats with a bulkhead infront means that trays are in the seat arm, which makes the seats narrower than normal. Window seats have restricted legroom, because of the emergency slide storage on the inside of the door and sometimes cabin crew seats for takeoff and landing. All window seats are not good for tall people as the cabin curves in at the top. Having just returned from from holiday from Mexico flying from Manchester. We paid extra for premium seats and priority boarding but it's well worth it, it's 2 yrs since we flew with Thomson, and I can honestly say they've upped their game, food and service. The cabin crew worked their socks off, and I have nothing but praise for them. We encountered a problem 3 days before our return to the UK, I Emailed Thomson customer service UK 24/7 for help half expecting no reply till Monday, to my surprise I received a reply within an hour and it was all sorted within 2 hours. So my own point of view is that I would have no hesitation in flying with Thomson again. Boeing 757 seats on Thomson Airways are very tight and next to no legroom. When seat in front is inclined I was unable to feel my legs at all or move. Seat belt very small, came nowhere near to fitting. Table tray, broken and wouldn't lower, even in locked position was at an angle so not laying straight in its position. Cabin was dirty with rubbish from previous flight. Seats and leather looking very worn and tatty. Had appearance of an old decrepid airliner beyond its sell by date. 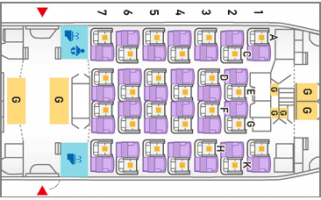 Seat 3c on Thomson Airways Boeing 787 - all seats in premium cabin the same. Not bad if you are an average size but if you are petite, they are not made for comfort. The headrest is too high and not adjustable for height, the footrest is only reachable at a stretch and therefore useless. As there is no lumbar adjust, the back support/space does not fit well either and is worse on recline. Seat cushion is firm which is better than too soft but I would not like to undertake a longer haul flight than the 7 hours we had. Only their 2 point headphones will fit so forget using your own. Good points are the foldable and hideaway tray table and drinks rest. For a newer aircraft the seats are basically not an improvement on anything I've travelled on before, shame. 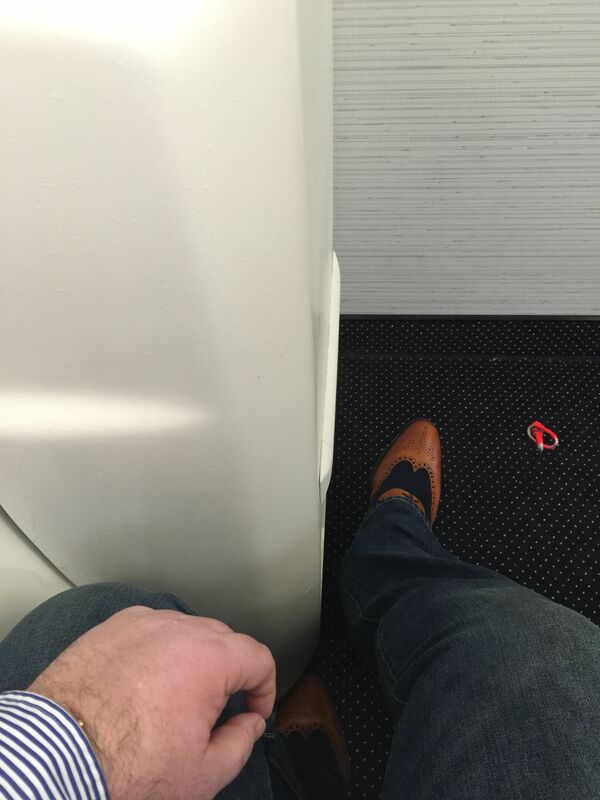 "found the seats to be narrow"
Plenty of leg room, but this appears to be at the expense of seat width. I am not a large person but I found the seats to be narrow. 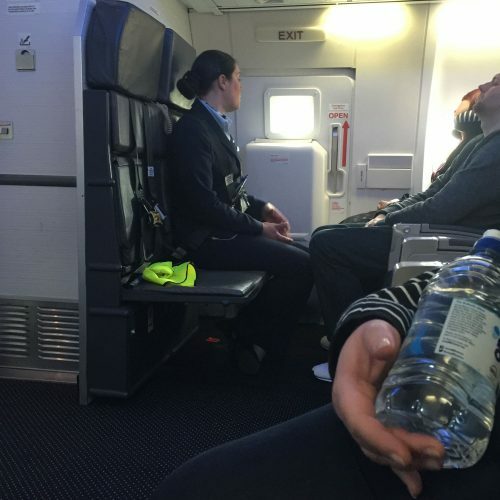 I would not have wanted to be in a middle seat. There was no storage directly above seats 38-40 D-F due to the crew rest area above, however, the storage bins at the sides of the cabin are huge and there was sufficient space in these for all luggage. Inflight entertainment is very good and there is plenty to keep you occupied on an 8 hour flight. I also think there is some credibility in the claim that air quality is better on the 787 because I felt quite fresh at the end of both outbound and return flights. Although I didn't like the seat width/arrangement, this was one of the better experiences I have had in economy. Thomson Airways Boeing 787 seats are far too narrow. I am a size 10 and my boyfriend a small man and we couldn't sit side by side comfortably as we had to share a tiny arm rest. Aisles are far too narrow - so I got hit everytime someone passed me. 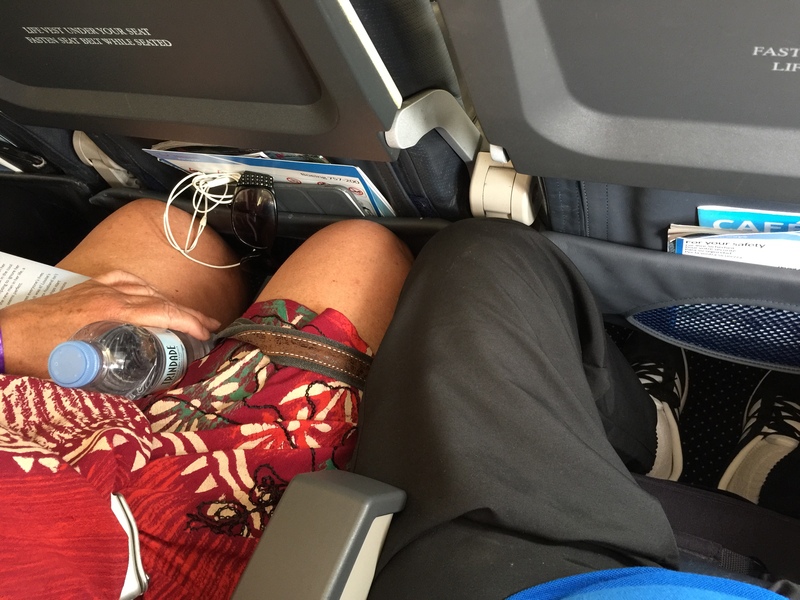 Boyfriend had large people next to him both flights which spilled onto his already narrow seat. 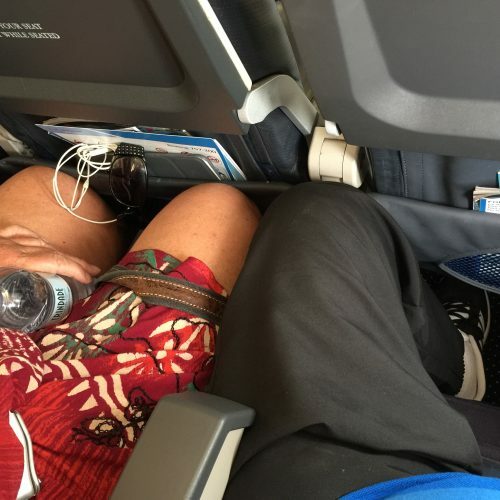 Leg room is fine. 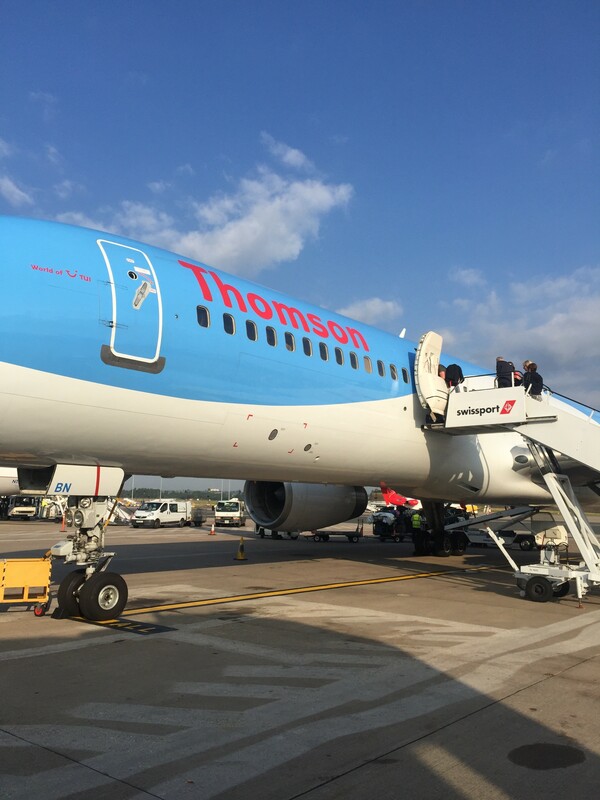 Will never fly with Thomson or the Boeing 787 again. Needs to have wider aisles and seats. Seat power supply wasn't strong enough to charge my iPad, so wouldn't do a laptop either. 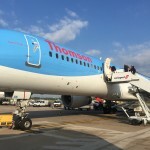 "Legroom and seat width good"
The Thomson Airways seats were comfortable on the outbound day flight, however upon return it was a night flight and they were uncomfortable, probably because we were all tired. Be careful of behind passengers when they put their items in the seat pocket as I had a lady's water bottle digging into my lower back, which she very kindly moved for me. Legroom was good and seat width was also very good.